Posted on 22nd August 2011 at 12:01. 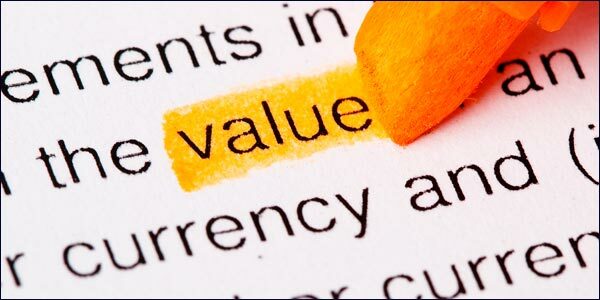 What’s the most valuable asset any small business holds? No, it’s not the property or the stock they might own, it’s actually their customers. These customers hold the key to the future well-being of any small enterprise, and can determine whether a business will succeed or fail. This is particularly the case for online businesses. Without an adequate flow of online traffic and a good proportion of conversions, any business is destined to flop. How do online businesses attract traffic to their websites? By using carefully considered and researched keywords and optimising the website using seo strategies so that it attracts the maximum targeted traffic. So, if customers are so vital for prosperity, doesn’t it make sense to listen to what they have to say? Wouldn’t using their opinions help to improve your business and put it on a much firmer financial footing? Why did you purchase from us? Many small businesses fail to ask this simple question of customers. Whether it’s by accident or omission, they fail to ask why customers chose to shop with a particular merchant or vendor. If they were to ask, they might find that these customers can give them valuable insights not just about the quality of the products or services on offer, but also about certain ‘keywords’ or descriptions that drove the purchaser’s decision. These words and phrases are priceless as they give clues about why the customer selected to do business with your particular company. An understanding of the keywords is also vital for influencing how future customers might be attracted to the company web page when searching for information about the product or service. All online businesses should thoroughly research their keywords, and the best way to do this is by listening to customer opinions. Really listening and understanding what makes customers return is hugely important to ongoing business, and also for attracting new business. Try to get your customers to explain their reasons for using your company, and pay particular attention to words that could be used as ‘keywords’ in blog posts, web page titles or web content. Obviously it takes time to do this, but it will be worth it. Don’t be afraid to contact customers who have purchased goods from your website and ask them why they chose your particular company in preference to others. It might seem old fashioned to pick up the phone and call them, but the information you may get for your efforts will be worth it. This type of keyword research is unmatched, and can help you to refine your entire online internet and SEO strategy. Satisfied customers are generally happy customers, and happy customers are likely to want to help you to deliver an even better product. You can of course go down the road of using one of a number of online keyword selection tools. These will undoubtedly help you to optimise your business webpage and determine your internet strategy. These tools are extremely useful in helping businesses to select accurate and relevant keywords. However, combining keyword selection tools with customer feedback will arguably produce even better and more targeted keywords. If your keywords accurately describe the business, good internet traffic may result. If they don’t, it won’t. So, the next time you speak to a customer after a successful sale, ask their opinion. Ask them why they chose to buy from you? Whilst you’re at it why not also try asking how they would describe your business? Have they purchased from you before? What made them place an order or visit your store, and how they managed to find you? Knowledge is power, particularly when that knowledge is applied wisely.